Possibly not the most interesting image in my “365” project but I think it tells you a little about me. You can just make out a stack of books in the right hand side – my bedside cabinet currently has eleven books that I am waiting to read. 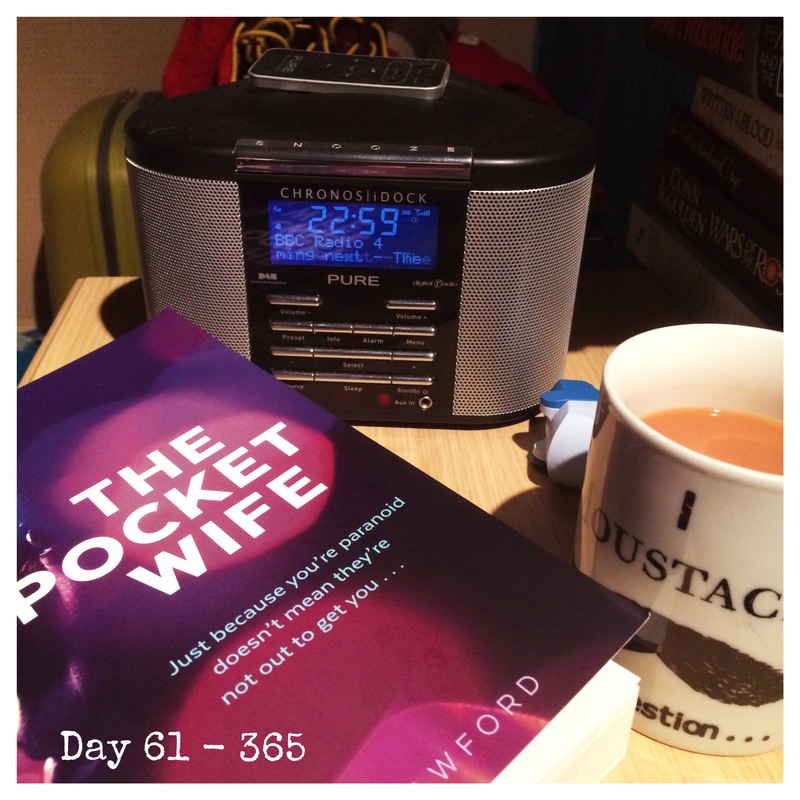 That does not include the title I am currently reading, “The Pocket Wife”. Nor does it include my Kindle which is filled with even more goodies. You can see my inhaler that I find I’m relying on less and less. Then, their is my bedtime cuppa; always a brew of tea at this time of night despite my daytime preference for coffee. The important thing is the radio. Permanently tuned to Radio 4, I go to sleep with it on and it is set to switch itself off after 90 minutes. It turns itself back on at 0645 weekdays and I awaken to the Today programme. I awake to it every day at 0645 and usually fall back asleep again until the sports news comes in at 0725 ish. If you look closely you may also see my burgundy (with yellow laces) Doc Marten boots.